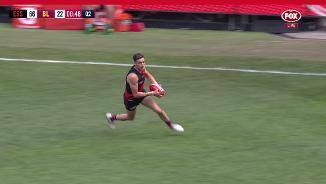 Dynamic Essendon forward Orazio Fantasia said the results from the side’s thrilling 18-point defeat of Melbourne are “priceless”. 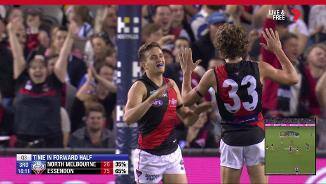 EFC’s exciting new podcast DON AIR has arrived and you can now listen to the entertaining show led by Adam Cooney, Orazio Fantasia and David Zaharakis. 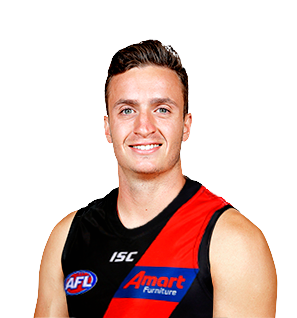 Orazio Fantasia is making steady progress from his finger injury and is set to feature in the JLT Community Series. 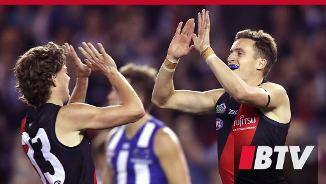 One of the league’s most exciting and damaging forwards, Fantasia is among the club’s most important players. Often described as the side’s ‘barometer’, Fantasia is regularly one of the key factors behind some of the club’s best wins. In 2018 the speedster was held to just 13 games after numerous frustrating injuries, but he still managed to boot 20 goals and record career-high averages for clearances, tackles, inside-50s and contested possessions as he showed his worth pushing further up the ground. His ability to bust open the game and force fans onto their feet with his dazzling skill is sensational and if he can stay fit and firing in 2019, the sky is the limit.